You’ll have to grab your swim goggles to enjoy El Segundo’s Underwater Eggstravaganza at the Plunge. The underwater egg hunt starts at 7 PM on Friday, April 14 and costs $5 at the door. The Plunge swimming facility is located at 219 West Mariposa Avenue. Additionally, on Saturday, April 15 from 9:30 to11 AM, the El Segundo Recreation and Parks Department hosts their annual FREE Egg Hunt Eggstravaganza. Crawlers and Walkers and 2 to 4 year-olds start the hunt at 10 AM, 5 years and up at 10:30 AM. Recreation Park is located at 401 Sheldon St. For more information, call (310) 524-2700. You can find the Easter Bunny at the Downtown Manhattan Beach Farmers’ Market on Tuesday, April 11. Take a train ride, hunt for eggs, get your face painted and get some photos with your favorite furry friend. Bring your own camera as there will be no photographer! Metlox Plaza, 451 Manhattan Beach Blvd. For more info, check out their Facebook page. Enjoy a relaxing and decadent Easter brunch Shade Hotel in Manhattan Beach on Sunday, April 16 from 9 AM to 3 PM. Treat yourself to a gourmet buffet at Shade’s contemporary restaurant and lounge, zinc@Shade. Additional fun for the kiddies includes crafts and an Easter egg hunt. For additional information and to make reservations, visit their Facebook event page or call 310-546-4995. The South Bay Galleria’s Spring Fling Event will be held Saturday April 8 from 11 AM to 1 PM. This FREE family event includes balloon arts, prize baskets, a dance floor, face painting and more! You can also have your photo taken with the Easter Bunny to take home in a special frame. For more details click here. The South Bay Galleria is located at Hawthorne and Artesia. Shade Hotel Redondo Beach will have a fabulous Easter brunch! The grownups can enjoy a mimosa, sunshine, and a gourmet buffet at the Sea Level restaurant, while the kids partake in holiday activities, crafts, and an Easter egg hunt. Sunday, April 16 from 9 AM to 3 PM. For more info and to make reservations, call (310) 921-8950. The city of Rancho Palos Verdes hosts their Egg Hunt Eggstravaganza on Saturday April 15. For kids ages 1-8, there will be photos, prizes and of course an appearance by the Big Bunny! The fee is $15 per child, click here to register. At Ladera Linda Community Center, 32201 Forrestal Dr.
Terranea Resort will host a luxurious Ballroom Brunch and Easter Eggstravaganza on Sunday, April 16. Kids have their own buffet stations, and afterwards there will be a petting zoo, music, arts and crafts, and of course an egg hunt! Of course, you can always enjoy the views of the South Bay from the cliffs of Terranea! For further info and ticket purchase, click here. Terranea Resort is located at 100 Terranea Way in Rancho Palos Verdes. St. Luke’s Presbyterian Church hosts a Community Egg Hunt on Saturday, April 15. A bouncy castle, snacks, games, crafts, and an egg hunt are all part of this FREE family event. From 10 AM to noon. 26825 Rolling Hills Rd in Rolling Hills Estates. For additional info, you can call (310) 377-2825. In Palos Verdes Estates, the Neighborhood Church will host an Easter Egg Hunt on Sunday, April 16 at 10 AM. The hunting happens between services on the south lawn. Gather up the whole family for this FREE event. For additional information, call 310-541-8485. The Neighborhood Church is located at 415 Paseo Del Mar in Palos Verdes Estates. The city of Lomita welcomes you and your family to Breakfast with Bunny on Saturday April 15 from 8:00 AM. to 9:00 AM at Lomita Park. For $10 per family you will have pastries, coffee, and pictures with the Easter Bunny. 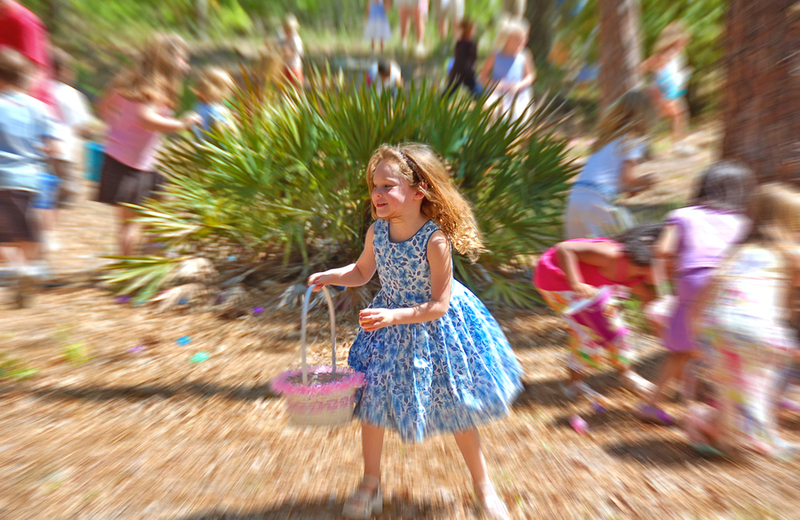 An Easter Egg Hunt follows at 9:30 AM for all kids under 14. Lomita Park is located at 24428 Eshelman Ave. Afterwards, the Lomita Railroad Museum will also host an egg hunt at 12:30 PM, followed by Easter arts and crafts and photos with the Easter Bunny. Cost is $10 per family. Call (310) 326-6255 for more information. 2137 250th St.
Del Amo Fashion Center will have The Bunny Photo Experience through Saturday, April 15. For $10 kids can visit with the Easter Bunny and get a fun and memorable photo to take home. Make your appointment with Bunny here. The City of Torrance will celebrate Easter on Saturday, April 15 from 9 AM to noon. This special program includes breakfast, a cookie decorating station, pics with Bunny, and a special performance by Buster Balloon! Breakfast will be served from 9 to 9:30 AM and seating is limited. Tickets are $20. For more information and tickets, click here. The Torrance Cultural Arts Center is located at 3330 Civic Center Drive. Connection Point Church will hold their annual Giant Easter Egg Hunt on Saturday, April 15 from 10 AM to noon at Wilson Park. 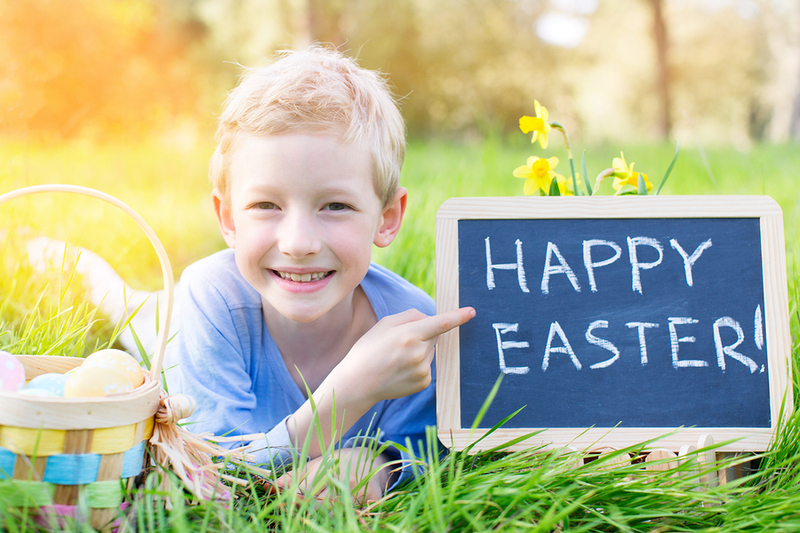 This FREE event offers a whopping 75,000 easter eggs to find for kids ages 0-12, live music, face painting, bounce houses, relay games and a photo booth. For further info call (310) 326-0276 or click here. Wilson Park is located at 2200 Crenshaw Blvd. Have some FREE Easter cookies and celebrate Easter at Torrance Bakery on Sunday, April 16 from 10 to 11:30 AM. Sponsored by the Old Torrance Neighborhood Association, you can participate in a meet & greet with the Easter Bunny and take selfies with Mr. & Mrs. Bun. Torrance Bakery is located at 1341 El Prado Ave.
How would you like to have Easter breakfast aboard a real battleship? Well, here’s your chance as the Battleship Iowa holds this unique event on Sunday, April 16. Have breakfast like a real sailor in the mess hall and pet some critters in the petting zoo. The Easter Bunny will be hanging around from 10 AM to 4 PM. The cost of $45 per adult, $35 for youth, and $11 for children includes ship’s admission and self guided tour. Click here for tickers and additional info. On Saturday, April 15 at the Nakaoka Community Center in Gardena, breakfast and crafts offered from 8:00 AM to 10:45 AM, and an Easter Egg Hunt starts at 10 AM. The little ones can enjoy a puppet show at 10:45. Pre-sale tickets for Breakfast with the Easter Bunny cost only $5 and are available at the Nakaoka Community Center. Tickets at the door will be $7. The Center is at 1670 West 162 Street, Gardena. Whatever you decide to do, the South Bay and its Beach Cities has a ton of activities for you and your family to enjoy. Happy Easter! ← Previous Previous post: California Poppies – They’re Here!